After the short break of summer vacation , I am just restarting my blog with an easy and our most favorite snack, the cutlets. Because of hubby's transfer me back in Chennai. Very happy about getting items in doorsteps hence many choices of great cooking experiments. 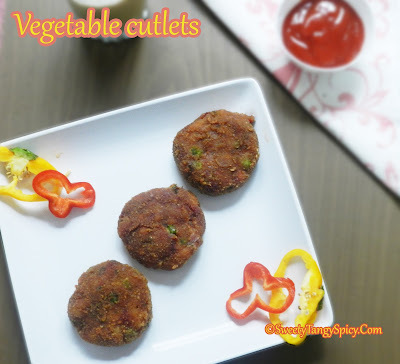 I don’t think, cutlets needs an explanation, as we know, it is a mildly spicy mixed vegetable fried snack with a crunchy outer portion and soft inner portion. 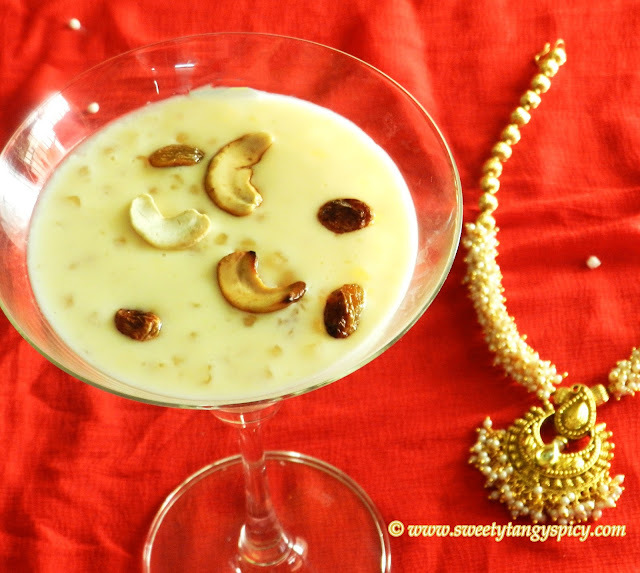 You can serve it with tomato ketchup or mint chutney with a cup of piping hot tea. 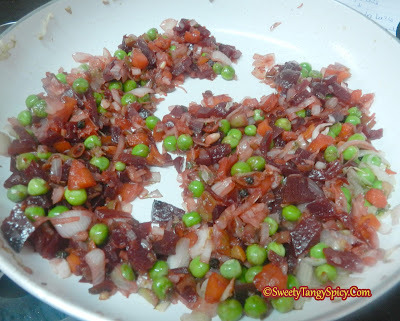 The vegetables used are carrots, beans, beetroot and green peas. I like the taste of beetroots in my cutlets, if you don’t like just omit it. First boiled all the veggies except green peas in an electric cooker, you can also use normal steamer or a pressure cooker. It can be deep fried, shallow fried or baked. Here I used the deep fry method, because the deep fried cutlets are tastier. It is possible to keep patties in the refrigerator about three weeks time. You can fry it as per your convenience. Steam all vegetables in a steamer or in a pressure cooker till cooked, some excess water will remain in the bowl after steaming, drain and mash it. You can also squeeze the veggies in a muslin cloth to remove the excess water content. Keep aside. Crush green chilies along with ginger and garlic. Then heat 3 tablespoon oil in a pan and add pepper corns. 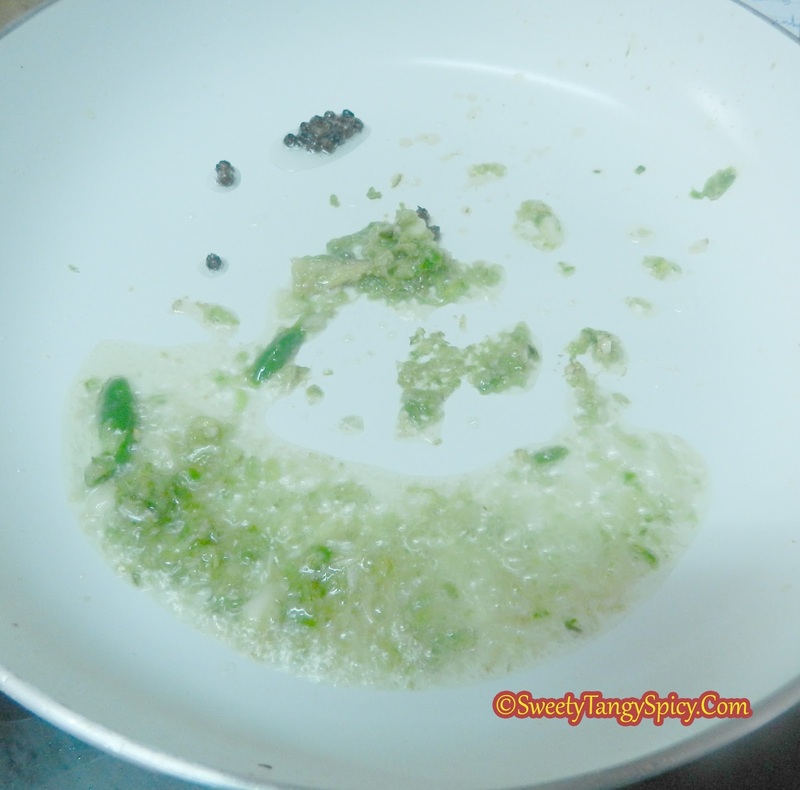 Add the prepared ginger-garlic-green chili paste and sauté till the raw smell vanishes, do not burn. 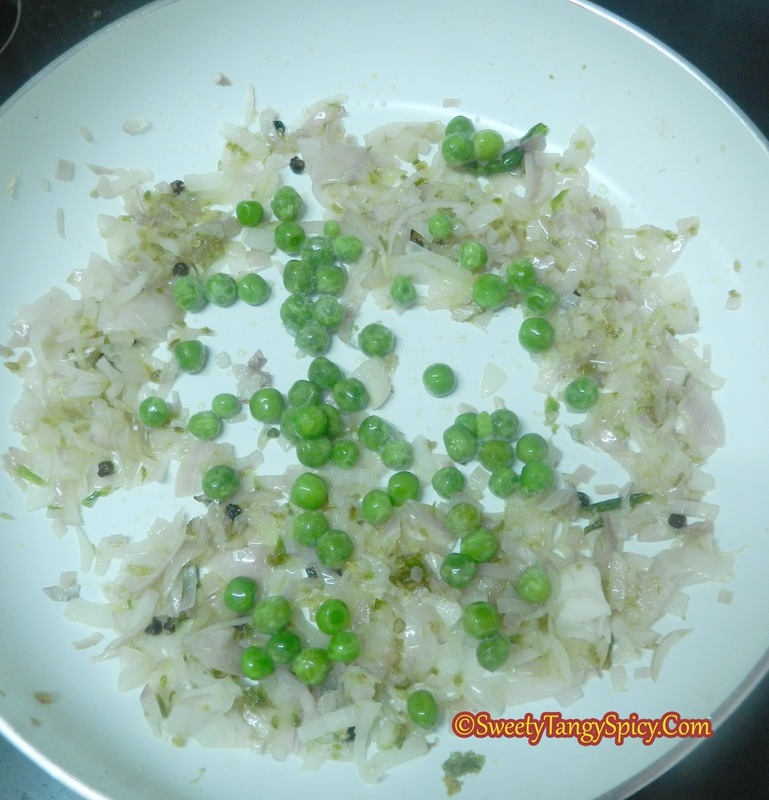 Add chopped onions and sauté till became transparent. Add mashed veggies and sauté till all the water evaporates and became dry. 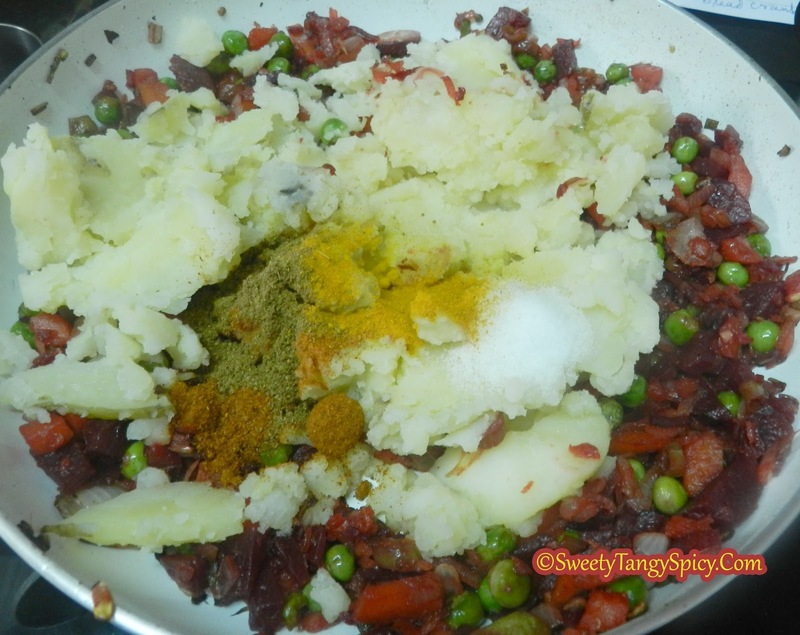 Add boiled mashed potatoes,turmeric powder, chili powder, garam masala and salt and coriander leaves, mix well. Check the taste and add salt and spices if required. 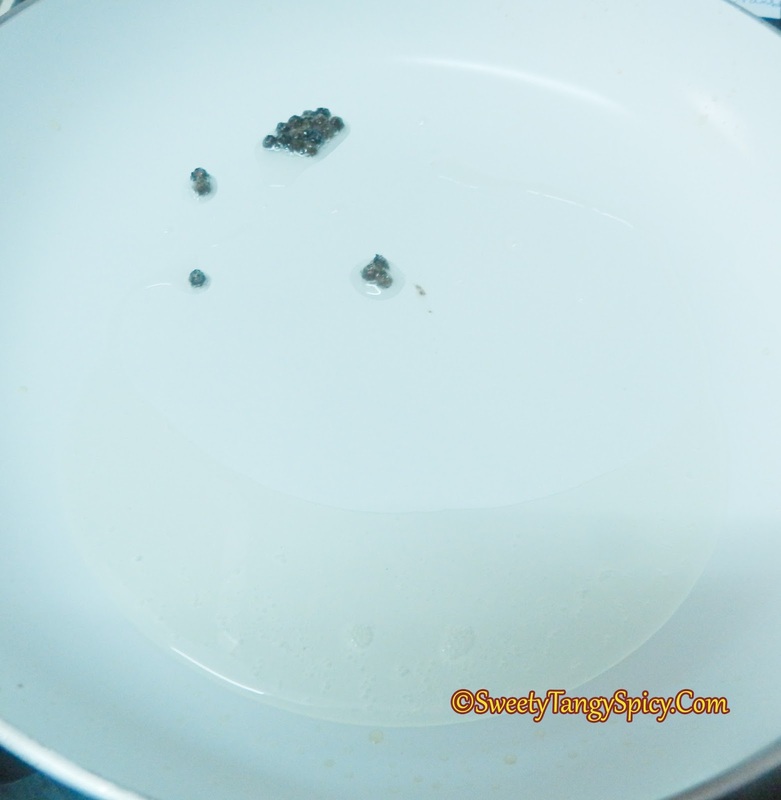 If your mixture is till moist, add some bread crumbs to make it dry. 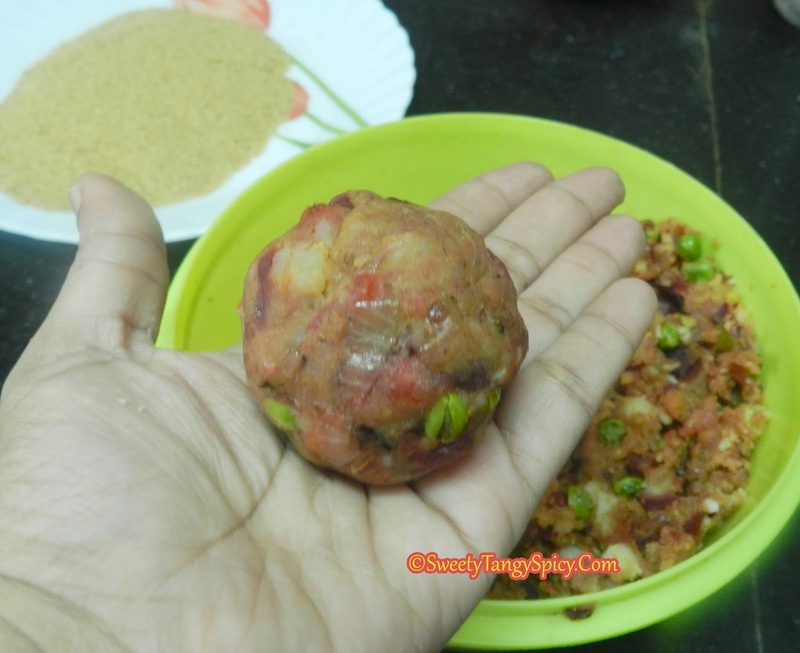 Make small lemon sized balls with the mixture and flatten between your palms. 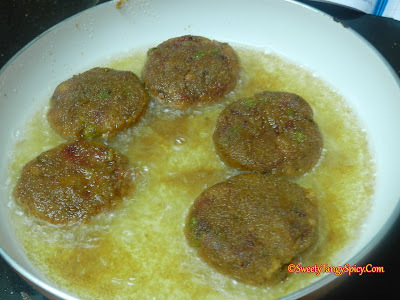 Make a smooth batter with corn flour or maida with 3 tablespoons of water, dip each cutlets in this batter and then roll in bread crumbs to make an even coating. Now your cutlets are ready to fry. Heat oil in a kadai and deep fry on medium high flame till golden brown. You can even shallow fry and bake if you want. 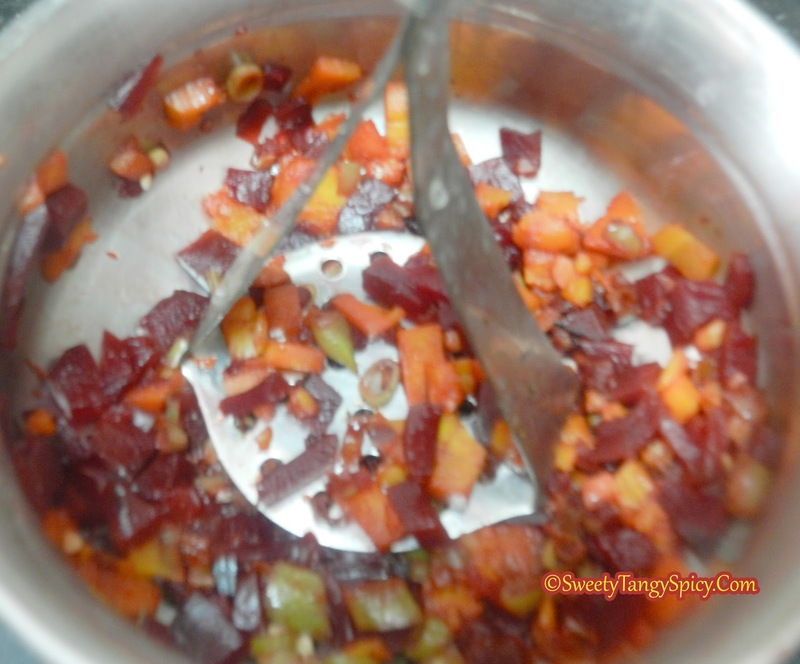 Steam all vegetables in a steamer or in a pressure cooker till cooked, drain and mash it. Keep aside. Then heat 2 tablespoon oil in a pan and add pepper corns. Add turmeric powder, chili powder, garam masala , salt, boiled mashed potatoes and coriander leaves, mix well. Check the taste and add salt and spices if required. 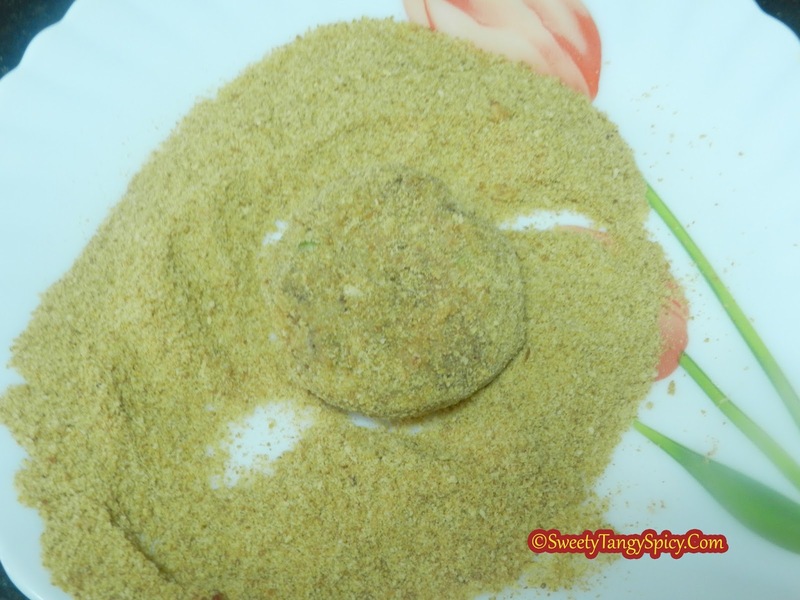 If your mixture is till moist mix some bread crumbs to make it dry. 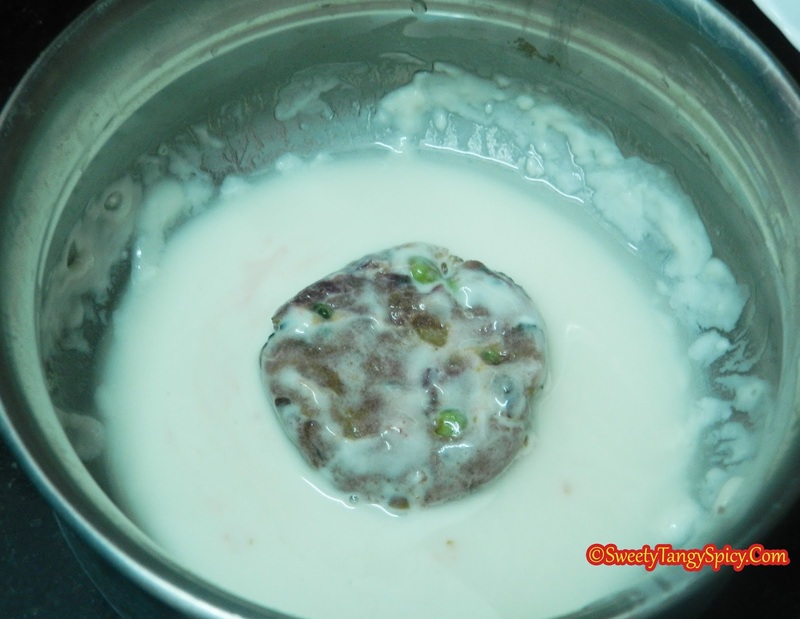 Make a smooth batter with corn flour or maida with 3 tablespoons of water, dip each cutlet in this batter. 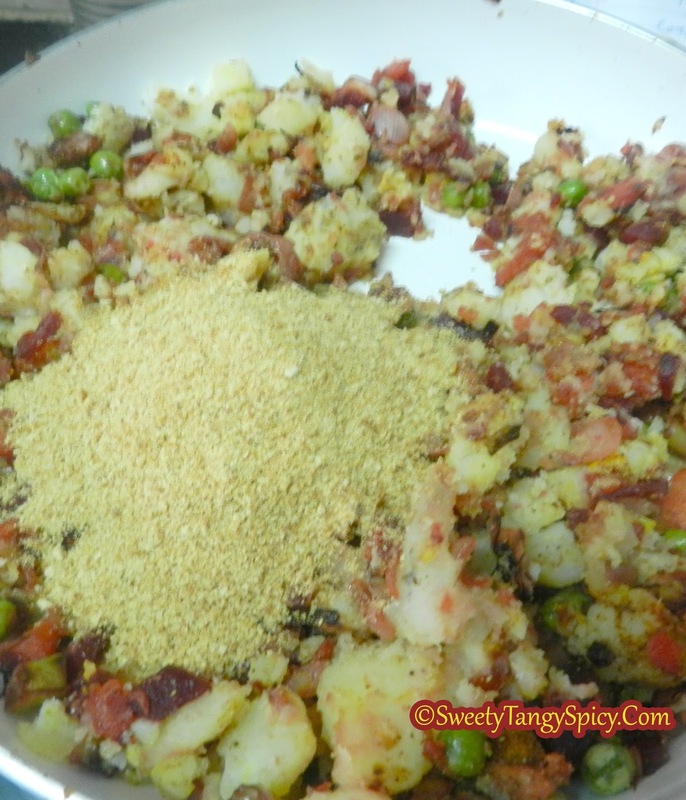 Then roll in bread crumbs to make an even coating. Now your cutlets are ready to fry. At this stage, you can store it in refrigerator for two to three weeks. Heat oil in a kadai and deep fry on medium high flame till dark brown. You can even shallow fry or bake if you want. If the oil is not hot enough, the patties will break. If the vegetable mixture looks wet, you can add some breadcrumbs. You can make them in different shapes using cutlet moulds.